The taste can explain for itself. 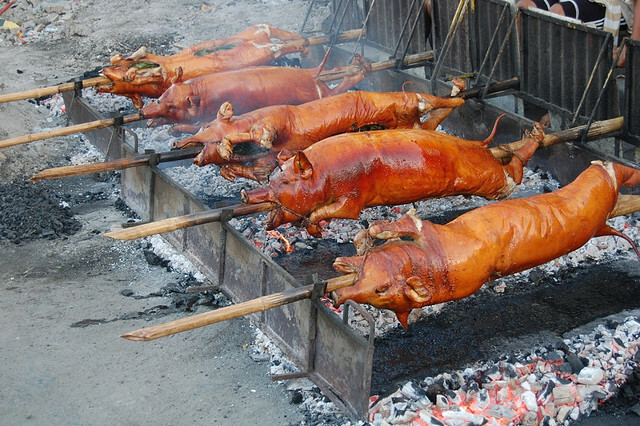 Go to La Loma, the lechon district of Manila, and there you'll find rows and rows of roasted pigs. Just bring with you someone who knows how to buy lechon so you don't get the bad ones. 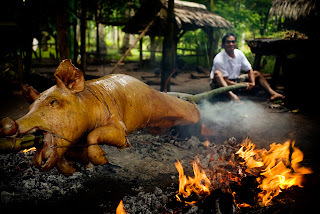 There are many ways of preparing lechon, but what is common to all is that the whole pig gets cleaned, flavored and roasted in open coals for hours. But lechon is largely judged by the crispiness of its skin. And many people claim they have their own secrets in making the skin very crisp like adding lemon soda, expensive oils, or sugar and soy sauce basting. All these things perhaps contribute, but the biggest secret in crispy lechon skin is no big secret actually. Its just in the way it is being roasted. Because lechon is difficult to prepare, there is a premium to it, therefore expensive. Since it is pricey, most can afford it on big occasions only. Besides, a whole lechon is just too big for a regular family meal, thus reserving the serving of lechon to bigger gatherings. 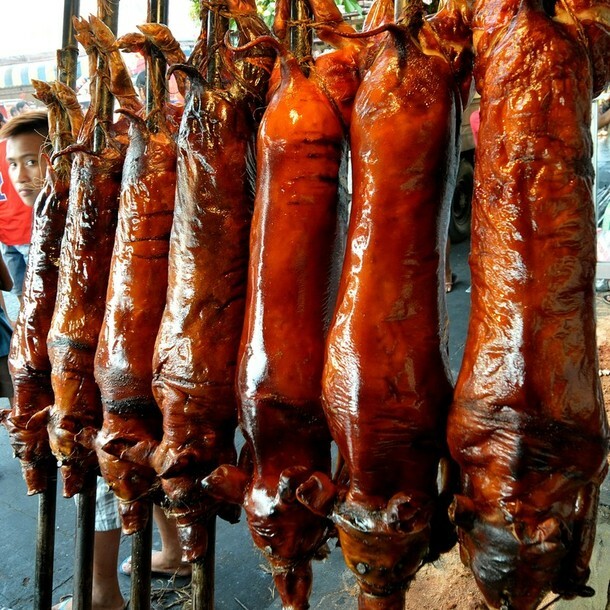 I saw lots written about the lechon online. I'm no expert at word origins, but apparently people are still guessing where litson or lechon came from. It is of Spanish origin. The original word is lechon de leche, with the literal translation "milk sucker," but is commonly known as suckling pig. These sucklings are taken from their mothers and roasted in coal pits. Morbid, really, but awesomely delicious. 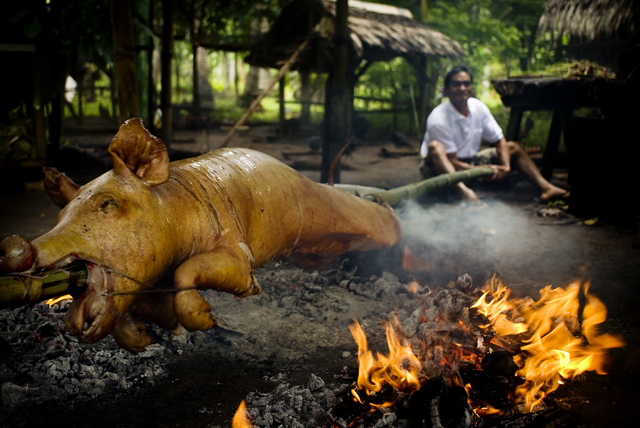 A lechon de leche has the juiciest, the most tender and the most clean tasting pork ever. Not that I am encouraging their consumption, this is all for the sake history. Our delicious and delightful food history.